We have been looking at the sciences because so much of what we observe in nature, even at a basic level of understanding, appears to have been part of a plan. That raises questions. Does an honest and unbiased look at the sciences reveal that the universe is ordered by design? It sure seems like the evidence for the intelligent design of the universe is there – its not hiding. In this 10th part of the series we turn our attention to Physics. Once again, you’re the fact finders, the jury if you will. Consider the evidence and decide for your self – does the evidence presented in this series point to the spontaneous evolution of life from inert matter or does it point to an intelligent designer? The Evidence of Physics (the natural science involved in the study of matter and its motion through space and time, along with related concepts such as energy and force). What do we mean that the universe is unlikely? It’s about probabilities. 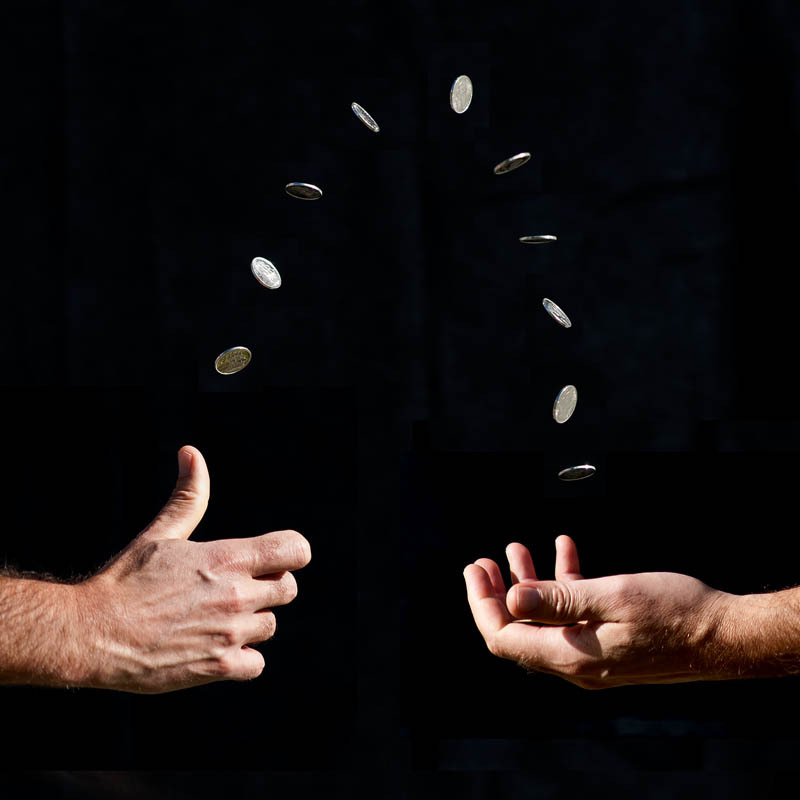 As an illustration, if I wanted to bet you a thousand dollars that I could flip a coin and get heads fifty times in a row, would you take that bet? Of course you would! It’s not even a gamble – the probability that heads will come up fifty times in a row is so unlikely that you would be accusing me of rigging the game if it happened. Well, it’s kind of like that. Fifty flips of a coin resulting in heads every time is a great deal more likely than the universe spontaneously springing into existence. There are just too many finely tuned fundamental laws of nature that had to be in place in a very precise manner for that to happen – about as likely as an explosion in a junk yard resulting in the pieces of wreckage falling to the ground and forming a fully assembled and functional Boeing 747. If the initial explosion of the big bang had differed in strength by as little as 1 part in 1060 (in case you forgot your middle school math, that’s 60 zeros) the universe would have either quickly collapse back on it self, or it would have expanded too fast for stars to form. In either case life would have been impossible. An accuracy of 1 part in 1060 can be compared to firing a bullet at a one inch target from the other side of the universe, twenty billion light years away, and hitting the target. That’s how likely it is that the universe exists by chance. Let’s talk about gravity. Imagine a ruler that extends across the entire universe, marked off in inches – billions and billions and billions of inches. The entire length of the ruler represents the range of force strengths in nature – gravity being one of the weakest and the nuclear orce that binds protons and neutrons together is the strongest. There is a marker at the place on the ruler where the strength of the force of gravity is. How far could we move that marker without affecting the habitability of the environment here on earth? In other words, how much stronger or weaker could the force of gravity be without affecting life on earth? We could not move that marker an inch without having a catastrophic impact on life. Animals anywhere near the size of humans would be crushed if the strength of gravity were any stronger. The strength of the force of gravity is exactly where it needs to be to sustain life. Neutrons and protons – Calculations indicate that if the strong nuclear force, the force that binds protons and neutrons together in an atom, had been weaker or stronger by as little as 5%, life would have been impossible. Not only that, but if the mass of the neutron were not about 1.001 times the mass of the proton, all the neutrons would have decayed into protons or vice versa and life would have been impossible. Other examples of fine tuning in the universe include the size and intensity of the sun and its distance from the earth. Even the slightest variation in any of those from what they are now would result in cataclysmic, life-ending events. The size, gravitational pull and distance from earth of our moon are critical to the development and the sustainability of life. Did you know that the moon actually keeps the earth in its proper tilt? Without the pull of the moon on our planet it would wobble causing wide fluctuations of weather, either runaway greenhouse effects or icy, frigid cold – both to the point of the destruction of life. There are dozens of other fundamental laws and parameters that are set just where they need to be to sustain life. They make it difficult to believe that it has all come to exist by random forces.